We want to reward you for your patronage so with your qualifying purchase, we’ll gift you this fantastic Black Hawaii Islands light up 2-port wall charger! 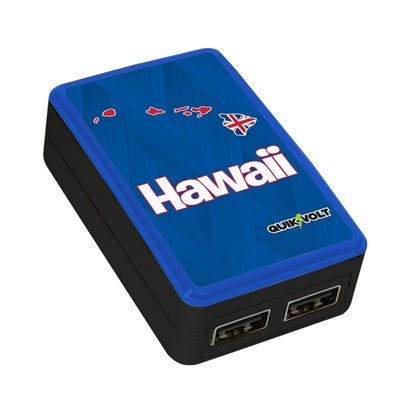 Handsomely printed with a full color front and sporting two USB charging ports to accommodate your mobile devices. Including a light up LED ring and folding prongs for easy transport, this is a gift that gives back. For use with smart phones, tablets, video games, cameras, and more! Enjoy your free gift with qualifying purchase! For use with smartphones, tablets, video games, cameras, and more.